On 7th September 2014, I was very glad to have my old Sony tape-player come back to life after having been out of service for six years. Thanks to my friend who fixed it. It went dead in 2009 and since then I had been just waiting for somebody who could fix it for me. I had really missed my favourite radio channels and audio cassettes. It does not mean that I didn’t want to buy a new one within the past six years, but this particular tape-recorder has carried a special meaning for me. Today as I listen to radio channels and play audio cassettes on it, the sweet memories of my past return to my mind afresh. It has been a witness to my engagement ceremony with my wife in May 2003 and it has entertained my late father too. It has been my best companion ever especially when I have been alone in the house. It had even helped me get updates on current affairs and special events while preparing for Civil Service Common Examinations in 2005, and many more. So, it has been my teacher, entertainer and a friend. I had first bought it from a Sony Showroom in Coimbatore, Tamilnadu, India in May 2003 for only rs.1,950.00 when I was studying bachelor’s degree. It was time for us to leave for Bhutan on summer vacation and I had bought it as a gift to my then fiancée, my present wife. Later that month, I was supposed to get engaged with her. So, I carried it all the way from Tamilnadu to Bhutan as a symbol of my love and wishes for her. 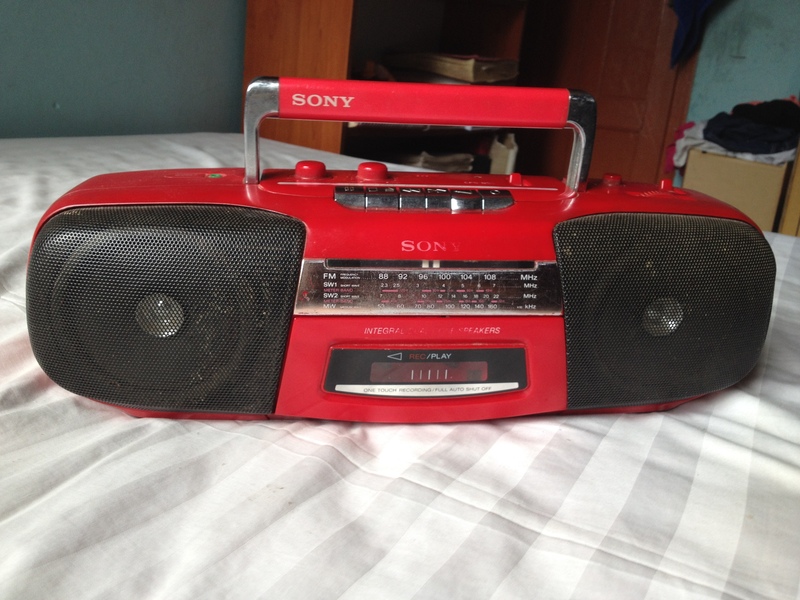 I can still remember well how my wife and her family used to joyously play their favourite songs on it and tune to their favourite radio channels when I was in her house towards the end of that month. It added melody to our peaceful engagement ceremony. We were engaged without any objection from her family and we were at the peak of our excitement, as if we had conquered the whole world. Then when returned together to Pasakha where my late father was staying with my maternal uncle, my father too enjoyed listening to Nepali songs played on the tape-player. It is the same device which my late father had touched and played his favourite songs. It still reminds me of those happy and peaceful days. When I went back to college, it became the sole companion of my wife. So, although it is very old, I still respect it and I am thankful to it for the meaning it has added to my life. I don’t know for how long it can continue to give me company but even if it retires once again, I will preserve it as a great reminder of my past glories so that my children can read the invisible messages engraved on it by time. Whatever it may be, I really believe that old is gold because anything old will have acquired a special value as it passes through layers of time. I am glad that I have so far successfully lived eleven years with my tape-player. I can’t even believe how fast time has flown by! Sir, I saw this recorder in your house many times. Wow it was a present you bought it for your wife, I am simply amazed la. Beautiful post and enjoy dromche!